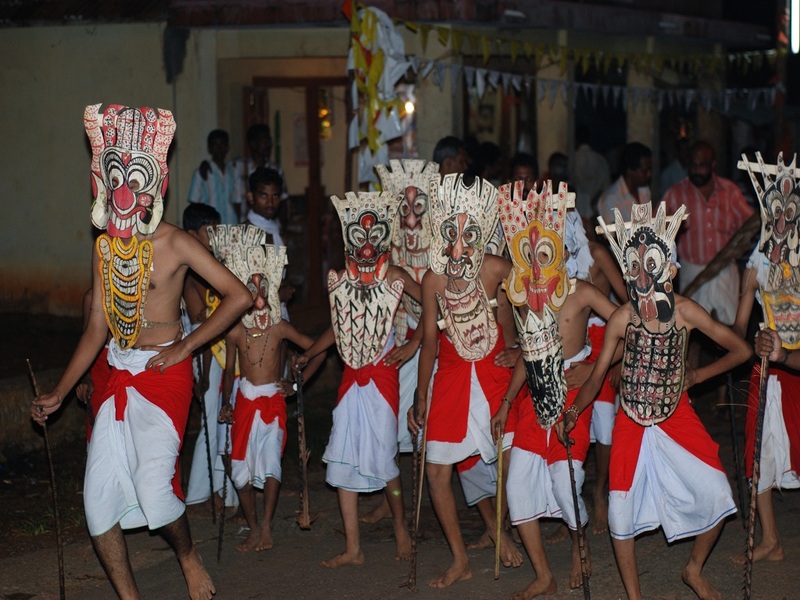 Kadammanitta Devi Temple at Pathanamthitta district is famous for the annual Padayani festival. 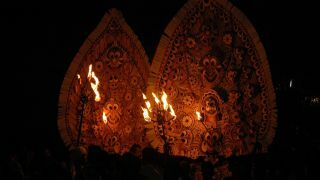 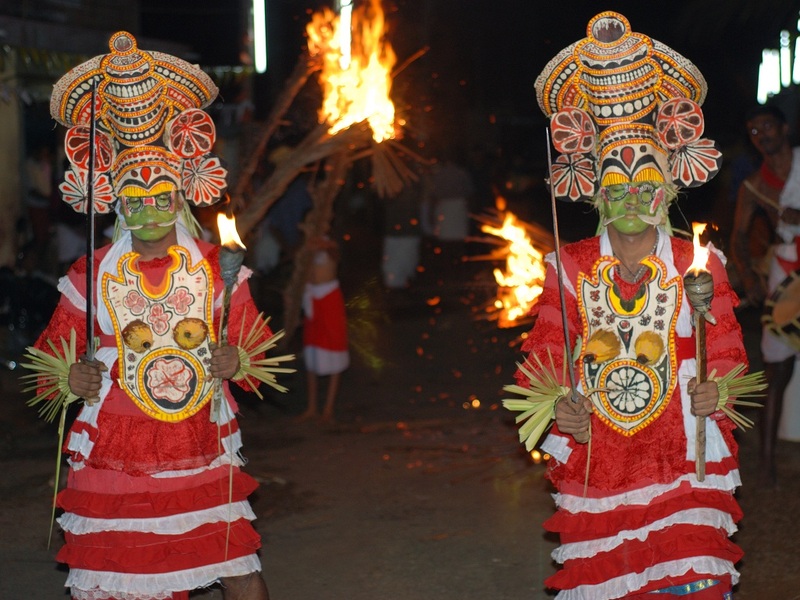 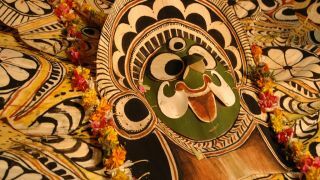 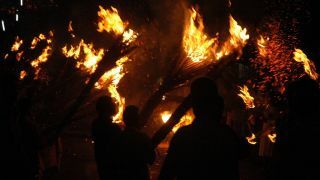 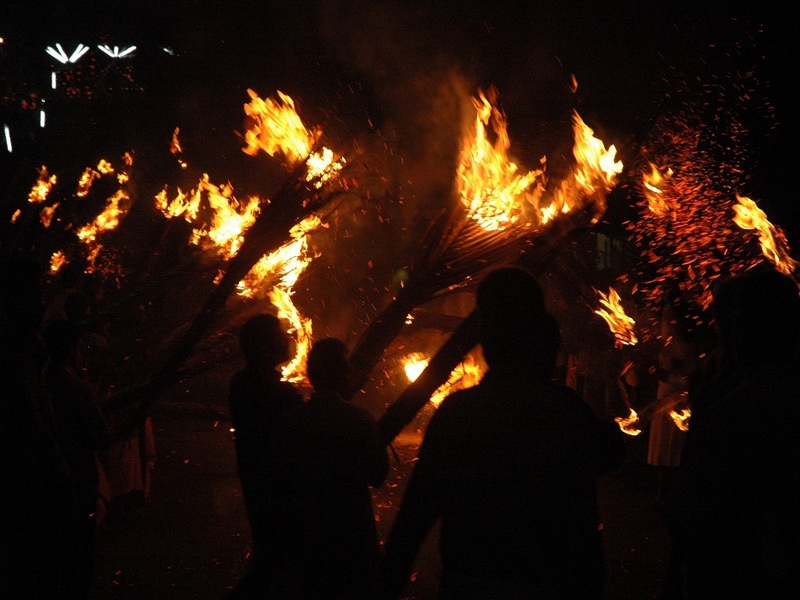 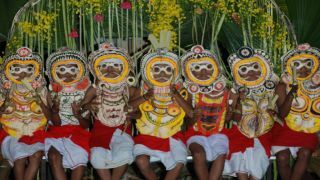 Held during the Malayalam month of medam (roughly April/May), one can enjoy the spirit of a magnificent ritualistic art form that is rooted in legends and myths. 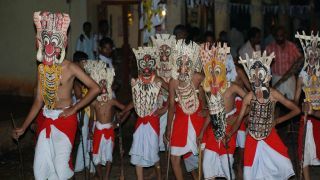 Patayani is such an annual ritual, performed in Bhadrakali temples of Central Travancore that astonishes the audience with its splendid theatrical values. 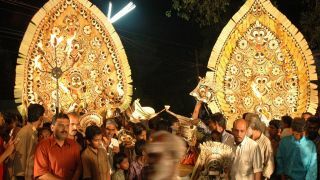 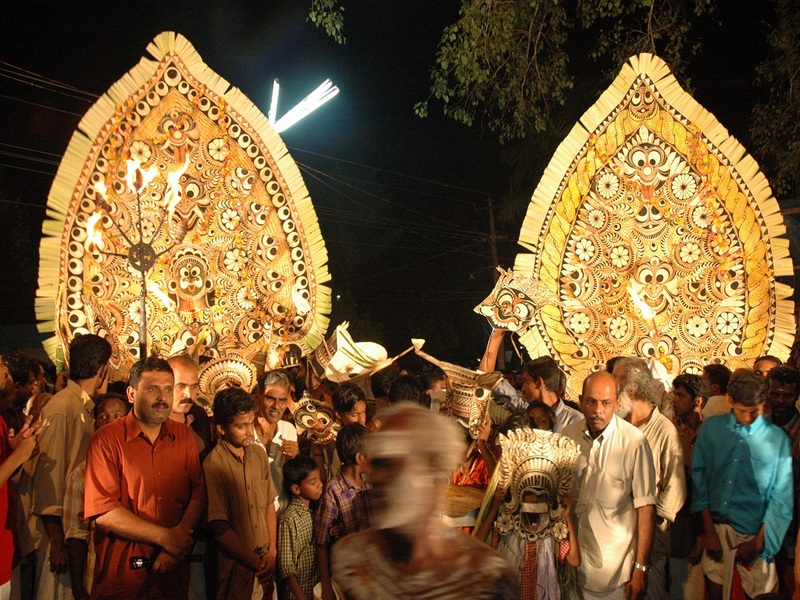 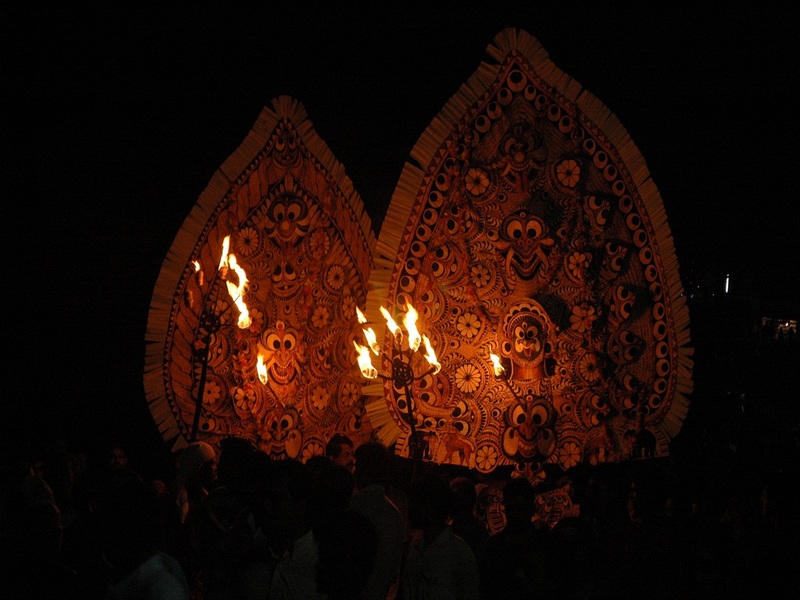 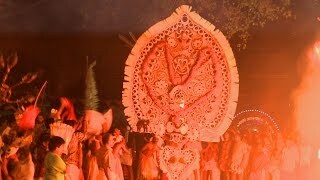 The major attraction of the festival is the Valiya Padayani. 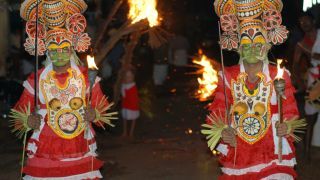 The festival is celebrated every year from the first day of Malayalam month medam to the 10th day, called the pathamudayam. 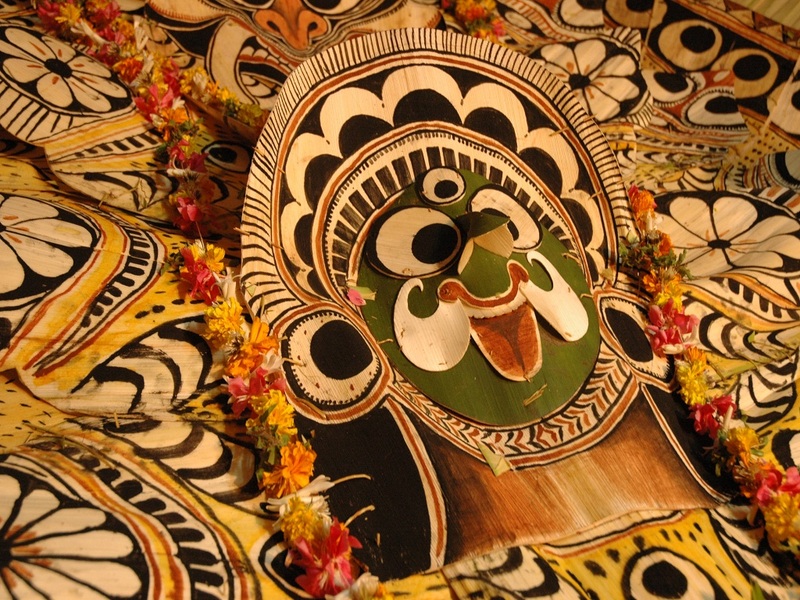 Various gods and goddesses represented in kolams at Kadammanitta are Ganapathi, Marutha, Yakshi, Pakshi, Kaalan, Kuthira, Bhairavi, Maadan, Gandharvan, Kanjira Maala and Apasmaram. 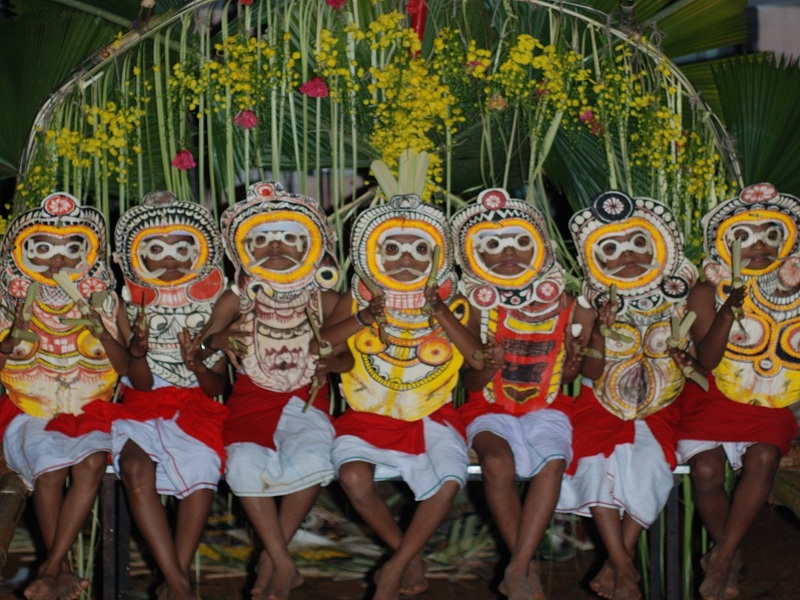 Thappu melam or thappu orchestra is an important ritual of Padayani - a ritualistic art form.